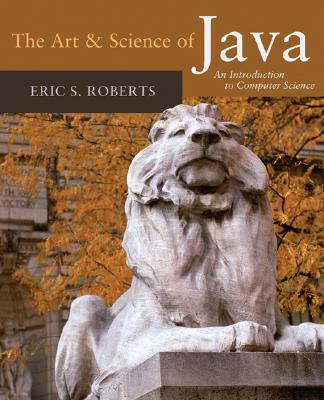 This book emphasizes the reader-friendly exposition that led to the success of The Art and Science of C. By following the recommendations of the Association of Computing Machinery's Java Task Force, this first edition text adopts a modern objects-first approach that introduces readers to useful hierarchies from the very beginning. Introduction; Programming by Example; Expressions; Statement Forms; Methods; Objects and Classes; Objects and Memory; Strings and Characters; Object-Oriented Graphics; Event-Driven Programs; Arrays and ArrayLists; Searching and Sorting; Collection Classes; Looking Ahead. Eric Roberts is a professor of computer science at Stanford University and author of several Addison-Wesley books, including The Art and Science of C and Programming Abstractions in C. Eric is well known for his leadership role in CS Education - he won the 2003 SIGCSE Award for Outstanding Contribution to Computer Science Education, as well as many teaching awards at Stanford.